Customers know they will not only find the perfect dress and heels, but will find whatever they need to complete their look. Woodworth attributes that reputation to the high-quality, hard-to-find designer lines Monkee’s carries. She offers dozens, including Laroque, Jude Connally, Julie Brown, Amanda Uprichard, Alice & Trixie, Tyler Boe, Camilyn Beth and Jack Rogers, for starters. 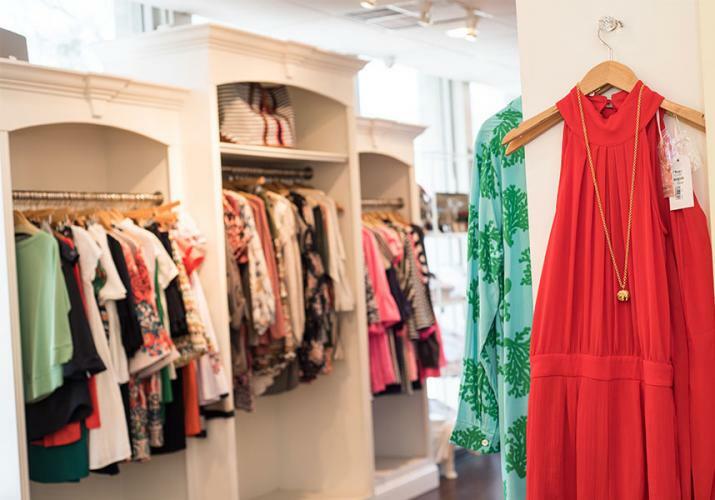 Customers come to Monkee’s for all that is colorful, chic and on trend. And this spring, expect the racks to be stocked with everything you need for stepping out in style at Derby. 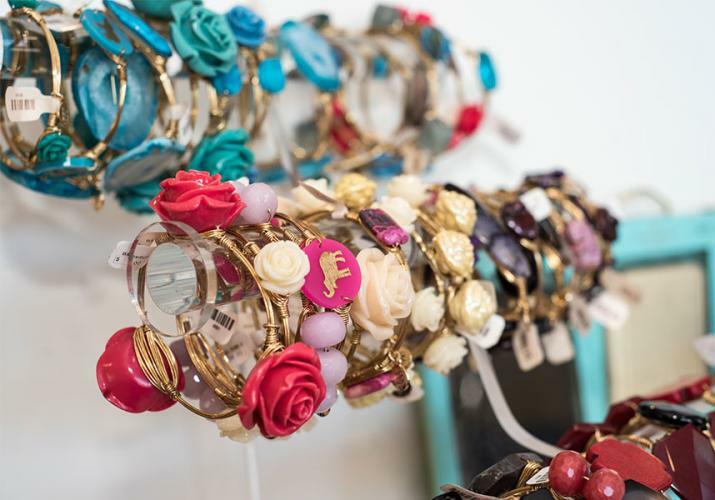 Woodworth said this year, she expects to see customers buying off-the-shoulder tops and dresses, anything in pastel, and bonbon earrings. In short, she is stocking everything that is fun, fashionable and feminine, from casual to formalwear. 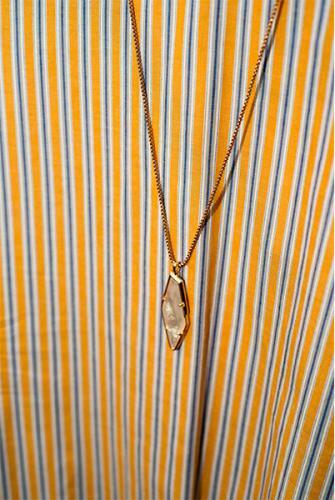 Customers who come to Monkee’s come for the personal attention, and the beautifully curated collection. The store is bright and airy, with walls stocked with an enticing array of bags, accessories and scarves. Statement shoes beckon. And in the center of the store a colorful, comfortable sitting area make the perfect spot for promenading in your latest selection. All in all—it’s the perfect place to take the girlfriends for some retail therapy. 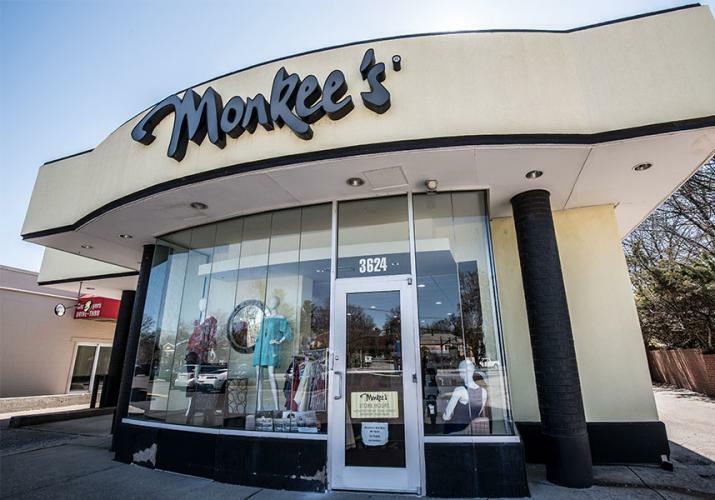 And you don’t have to be a “certain age” to shop at Monkee’s, either. 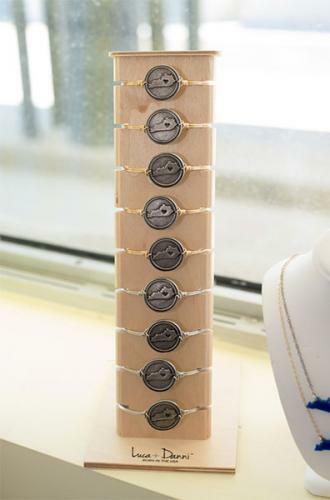 Woodworth prides herself on offering something for women no matter where they are in life. “I love to see a grandmother in here with her daughter and granddaughter,” Woodworth said. “We make sure all three leave with a Monkee’s Bag in hand and a smile on their face. Customer service is of the utmost importance to us, and the ladies that work for us strive to provide the best in Louisville. Each customer is greeted with a smile and leaves with a sincere ‘thank you,” she added.